My Recent & Past Sales/Sold Properties! My Reputation ~ I have a proven track record as a Top Salesperson in Monmouth County! I am looking forward to 2019 and assisting my clients within and outside of the Middletown Area & look forward to an amazing & rewarding relationship with each and every one of you! I have received many awards amongst my colleagues but I find my best 'reward' is helping my clients with EVERYTHING they need from start to finish and beyond! 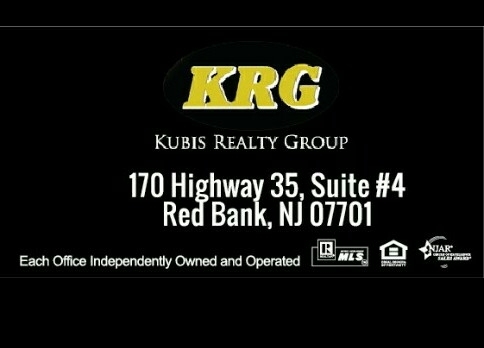 I primarily work in Monmouth County, but list & sell properties in Ocean & Middlesex counties too! I have expanded my business a few years back which enabled me to reach higher sales levels than ever before. I have listed, marketed, & sold the most properties ever in my career in 2015 and have been awarded & recognized within many Sales Clubs and with The Presidents International Sterling Award for my achievements over the past few years including the Distinguished Sales Award in 2017. I believe in providing my sellers and buyers with the most up to date unique approaches possible! I am also ranked in the Top 5% of Monmouth County Realtors & the top 15% nationwide! For over 20 years, I've been helping many sell, buy, invest & find their dream homes throughout NJ, NY & PA, (possibly South Carolina soon too! Stay tuned) I belong to the National Association of Realtors & Monmouth, Ocean & Middlesex County Board of Realtors. I've been the neighborhood specialist & premier "Local Realtor" in Middletown and many surrounding areas too including Holmdel, Colts Neck, Marlboro, Manalapan, Tinton Falls, Red Bank, Sea Bright & more! My Promise ~ To provide Million Dollar Service to EACH Client throughout EVERY transaction regardless of PRICE! My Goal ~ Making your Dreams become Reality! Taking the stress away from you & your family so that you can concentrate on the "Future". ** I HAVE LEARNED HOW TO DANCE IN THE RAIN! ** I EMBRACE EVERY OPPORTUNITY & THAT PUTS ME WAY AHEAD OF MY COMPETITION! Please contact me directly for a personal showing or additional information on any of these homes. I am dedicated to my clients & their needs 24 hours a day, 7 days a week! My hands on approach is what today's buyer's & seller's are looking for...I make DREAMS become REALITY...Today's families are NOT just investing in a new home, but building on a Community for the future...I belive in providing Million Dollar Service at every level regardless of PRICE! Call Me Today for a no obligation consultation for all of your real estate needs! its about learning how to dance in the rain"
"Your Local Friendly Realtor Always A Click Away @"